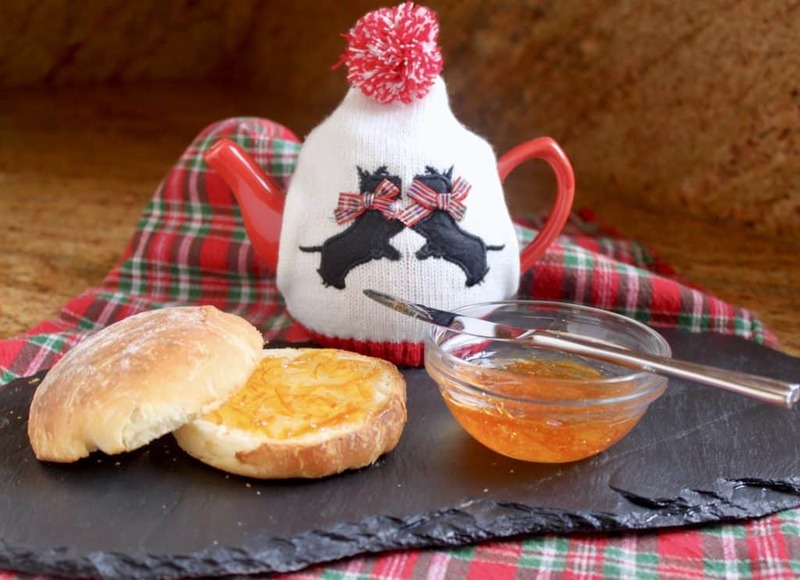 Scottish Drambuie Marmalade is a fantastic twist on plain Seville orange marmalade. Made with three different citrus fruits and Drambuie liqueur, it’s a winner! This is one of my favorite times of year in California because it’s citrus season! I have two Meyer lemon trees, one navel orange, a kumquat tree and my newest addition is a mandarin. None are prolific in bearing fruit, but there’s usually enough for my family. Making the fruit last longer is always a challenge. 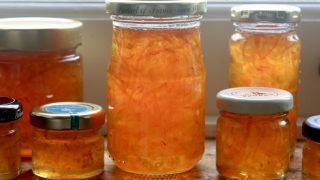 However, this marmalade was a no brainer as it only took two oranges, one lemon and one grapefruit ( I bought an organic grapefruit). 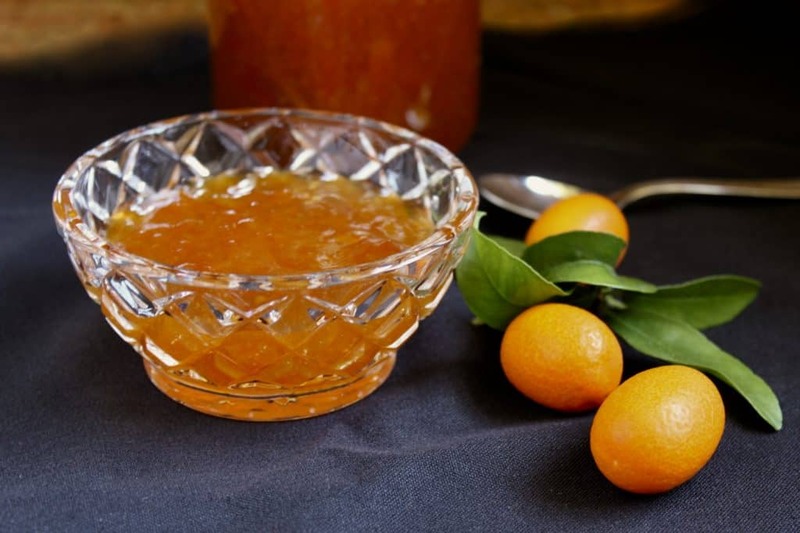 Last year, my mother made this lovely kumquat jam with my harvest of kumquats. 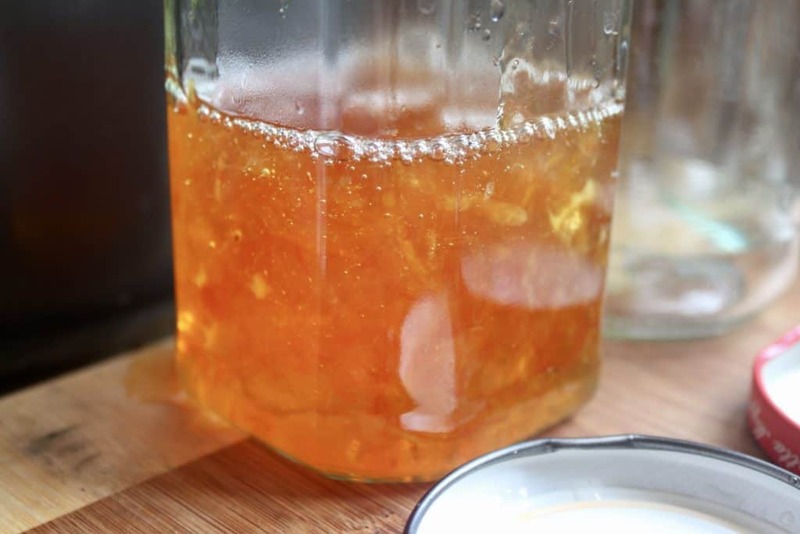 There’s no pectin needed in this recipe, but an overnight rest, instead. 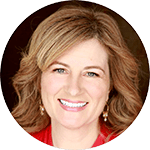 Follow the easy step by step directions for great results. Enjoy! Special equipment (see above) cheesecloth bag, candy thermometer, funnel and jam jars. Finely shred/chop the rinds of the citrus fruits, taking care not to use white pith. Place it in a large bowl. 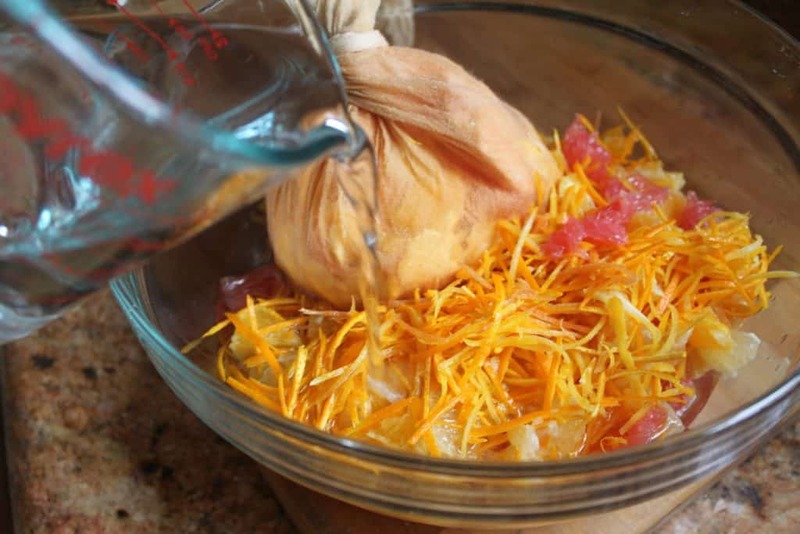 Remove the pits and pith from the fruit and place them in the cheesecloth bag, and tie it. 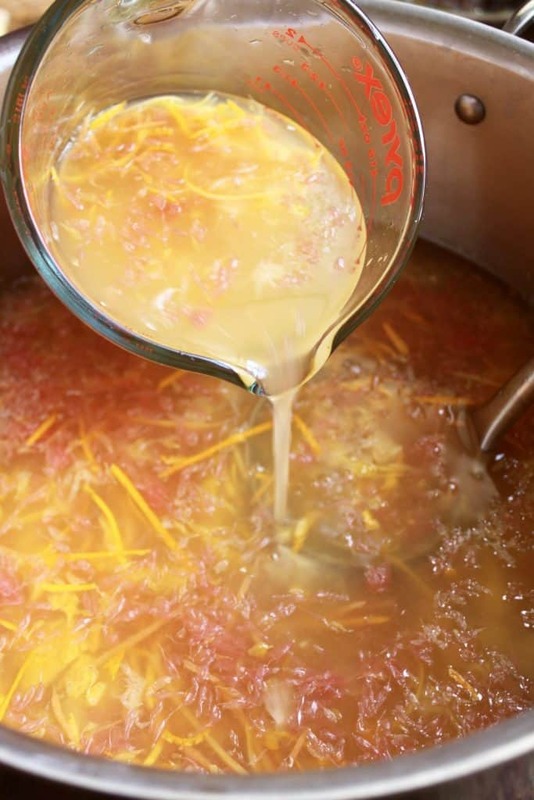 Chop the citrus and add it to the bowl of rind along with the water and the cheesecloth bag. Cover and leave overnight. The next morning, remove the bag and measure the rest of the citrus and water in a measuring jug. Whatever the liquid amount is in liquid ounces, that is how much sugar to use in weight. (We used about 4.5 lbs.) Pour it into a large pot and add the bag again. Bring to a boil, then cover and simmer gently for about an hour or so, or until the rind is very soft. 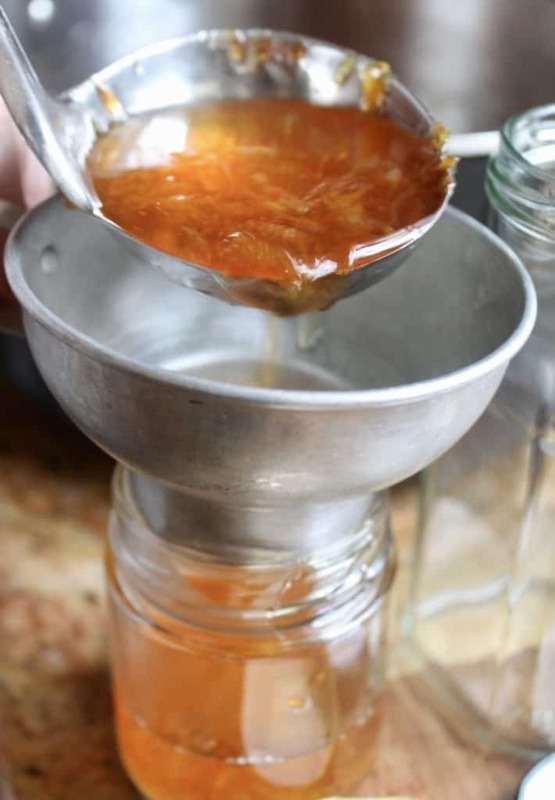 Remove the cheesecloth bag and squeeze out as much liquid as possible into the pot (this is the natural pectin). 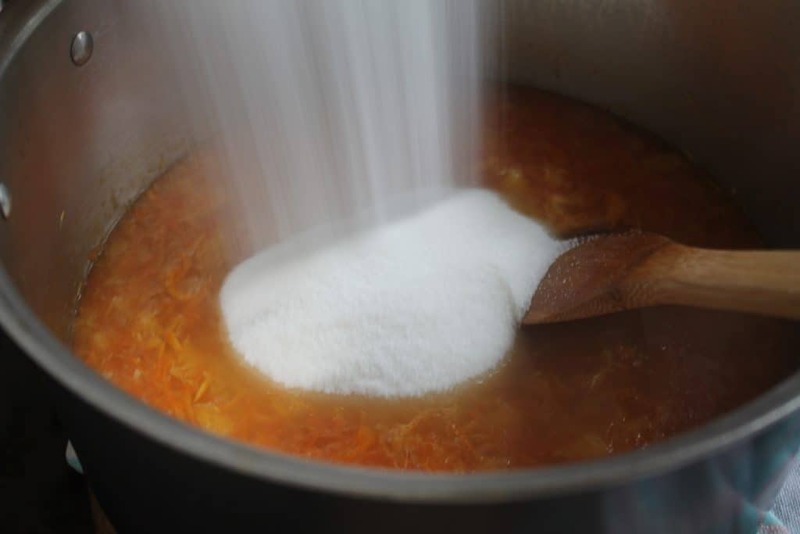 Add the sugar and stir often to dissolve it. 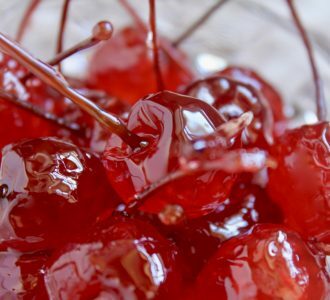 Simmer until it reaches the setting point of 222F/105C on a candy thermometer. If you’re a seasoned jam/marmalade maker, you can check by dropping some marmalade on a plate that was in the freezer. When the setting point is reached, remove the pot from the burner, add the Drambuie and allow to sit for 10 minutes. Make sure your jars and lids are clean and rinsed with boiling water and dried, then carefully begin filling the jars using a funnel. 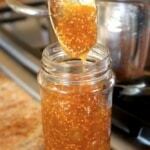 Clean the rims of the jars well before putting the lid on. Do this as quickly as possible. NOTE: when I make jam, I pour the boiling jam into old jam jars. 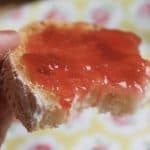 Once the jam cools, the middle of the lids will almost always “pop” meaning the jars have sealed (the center of the jar will also become concave). If they do not “pop”, the jam will definitely spoil if not refrigerated. I keep the unsealed jars in the fridge. 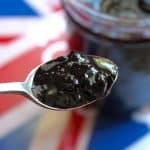 The health department would not approve of this method, so I’m not suggesting you do this, I’m just passing on what I do in my kitchen, as my family has been using this old method for as long as anyone can remember. 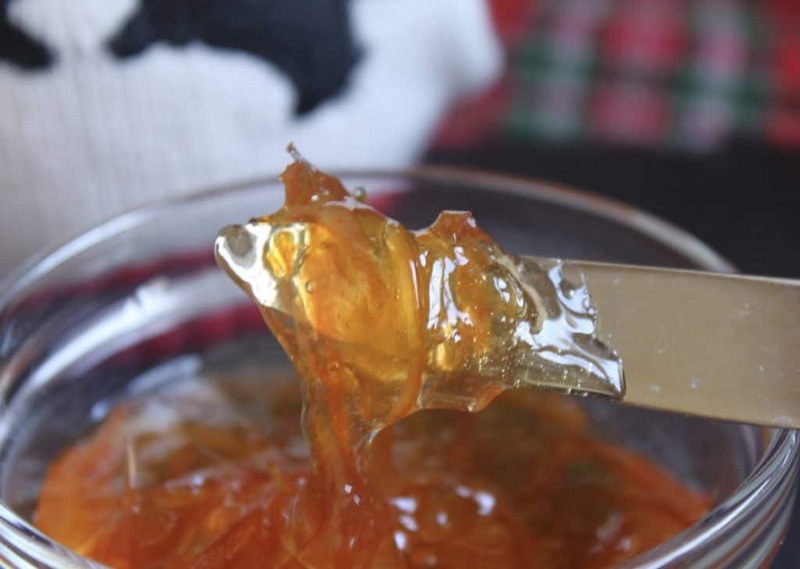 When the marmalade has completely cooled, label and refrigerate until ready to use. 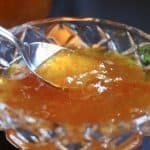 And if you want to make Seville marmalade, here’s a recipe for you from my pal Janice at Farmersgirl Kitchen. 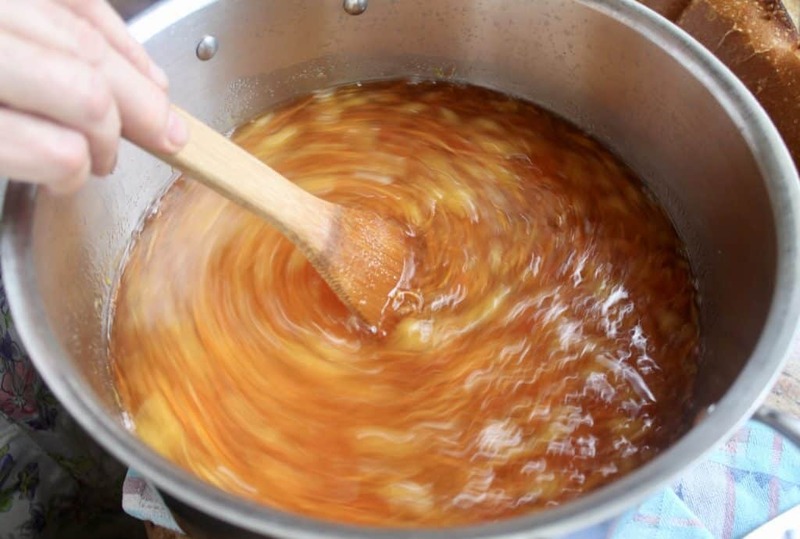 Simmer until it reaches the setting point of 222F/105C on a candy thermometer. 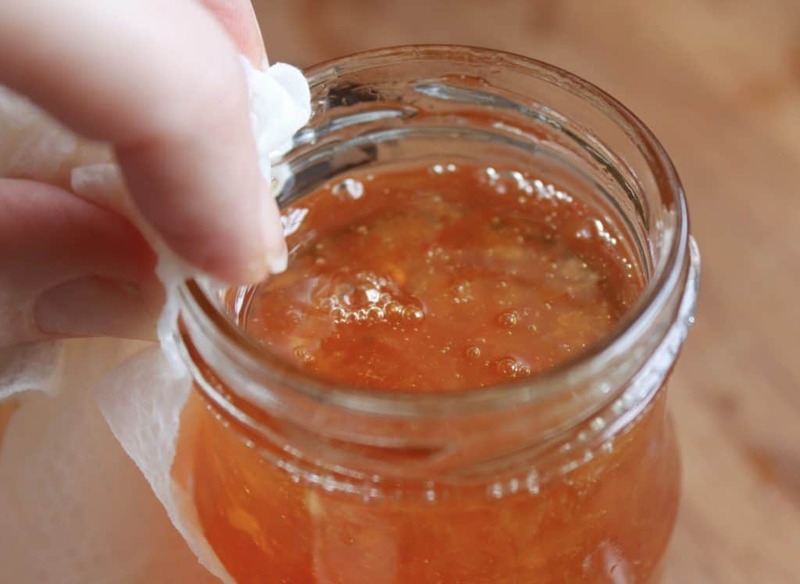 If you're a seasoned jam/marmalade maker, you can check by dropping some marmalade on a plate that was in the freezer. What a unique way of making marmalade! I love the addition of grapefruit… my favorite citrus. 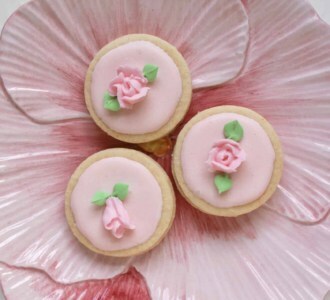 I would love to make this, but I can’t eat grapefruit Could I substitute it with another orange or lemon or do you have any other suggestions please? Thank You. Absolutely, Pauline. My dad can’t have it either due to his blood thinner meds. I would just add another 2 small oranges, or whatever you think would be the equivalent to a grapefruit. :) Enjoy! I’ve been planning to make orange marmalade with the Seville oranges that are in my office courtyard (no pesticides!). 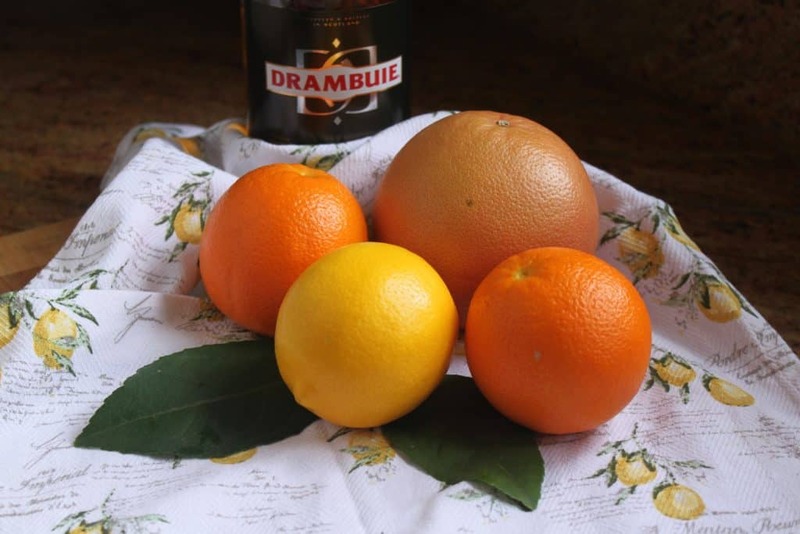 But since I love Drambuie, I might just have to make this version! Just gorgeous, Christina! Oh my goodness, Seville oranges in your courtyard at work? Wow! If you do use those, you may have to taste for sugar before finishing the cooking as they are much more sour. Let me know if you try it, David! Christina, I sent a thank you earlier but don’t know if you received it. Just wanted to let you know I received the beautiful rose mug and I thank you very much. 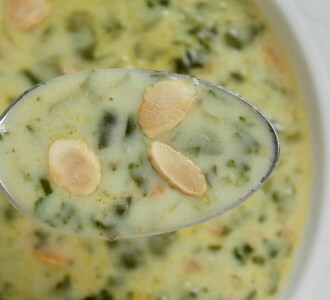 Thanks for the recipe, will try this today. I have 350 Satsuma Mandarins trees, 10 oranges trees, 1 lemons and 1 grapefruit tree, fig tree etc. I love orange marmalade. 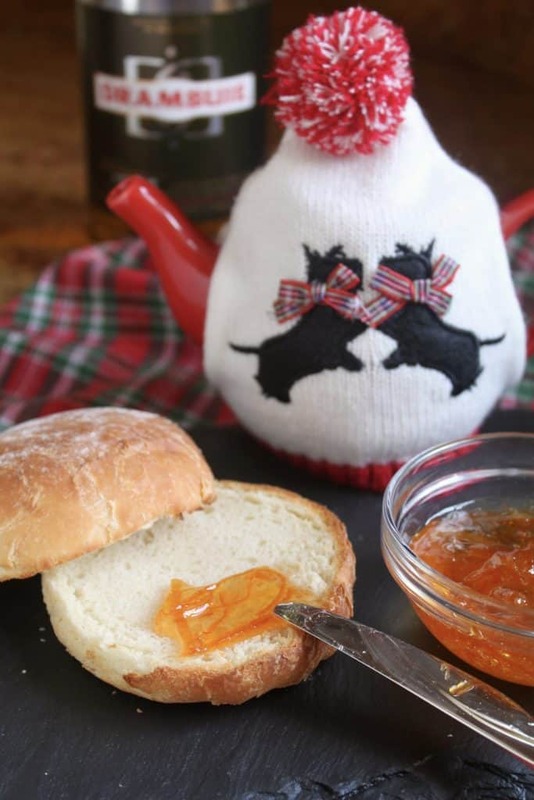 My first attempt last year was not the best, too thin, to much liquid.. My husband is from Greenock, Scotland and enjoyed the buns. Hi Yvonne, many years ago my parents used to go to Ackroyds Bakery. Every time they’d go, they were treated very rudely. I was actually there the last time they went and bought something that was really terrible and when they called, they refused to do anything about it. That was the last straw. Ackroyds is not a company I can recommend, but I’m glad you had a good experience. You’re right, Christina. This looks and sounds a real winner. How lucky you are to have your own citrus trees in your garden. 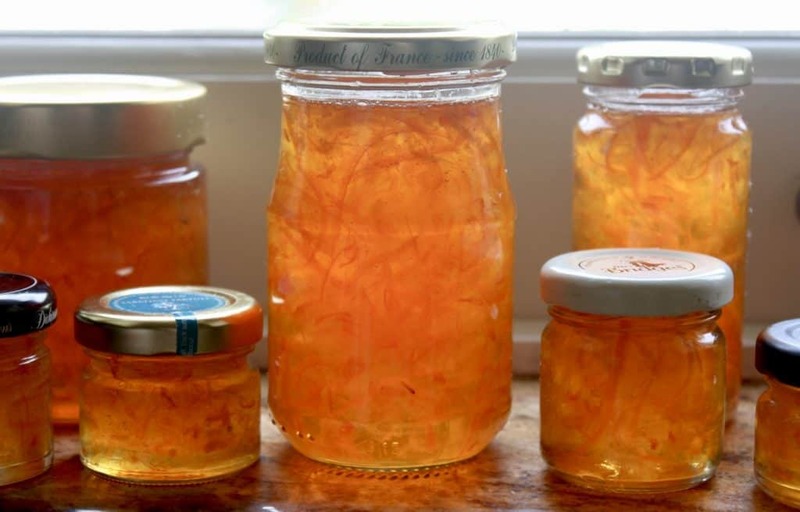 Much that I love marmalade, nobody else likes it in the house and so I’m denied marmalade! Love the Drambuie touch! BTW, I adore that tea cosy! Isn’t it cute!? My cousin from Scotland gave me the pot and cosy. I’ll have to pass this on to my Mum who always makes a huge batch of marmalade. I think our season is a fair bit later than yours though! Oh, I’m sure she’d love it, Suzanne! I wonder where your citrus comes from? Oh my goodness! 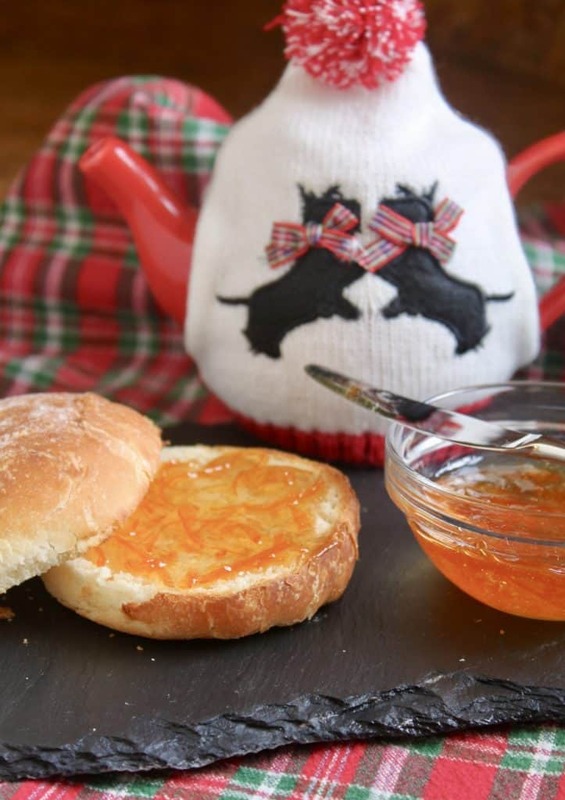 This sounds wonderful and the best part is no one else in the family liked marmalade! All for me and I have sources for all of the citrus. 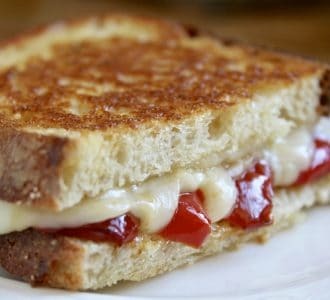 Thank you, I will definitely make this. First I have to make another Sicilian Orange Cake for church on Sunday. Requested yet again. Ha ha! 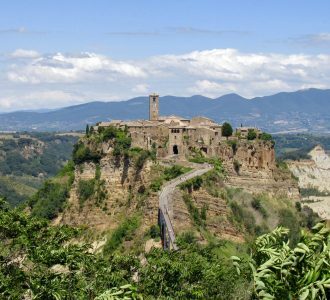 You’re going to know that Sicilian Orange cake recipe by heart by now! 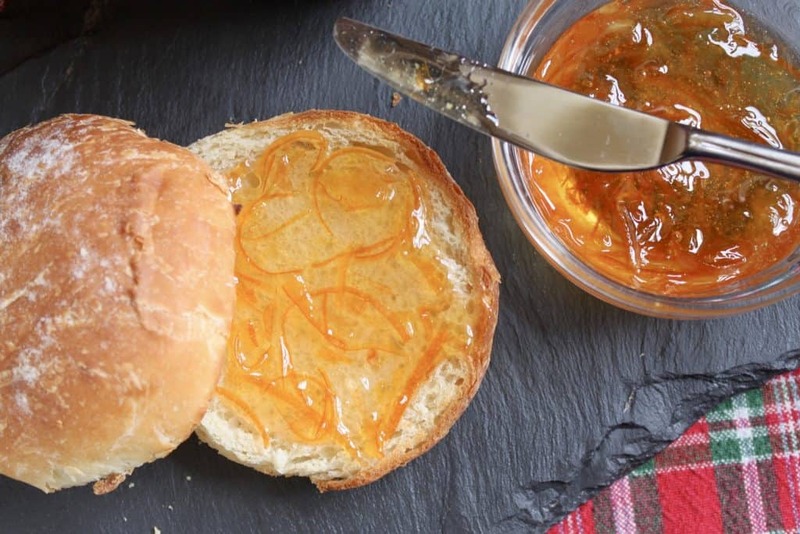 Glad you’re going to try the marmalade! 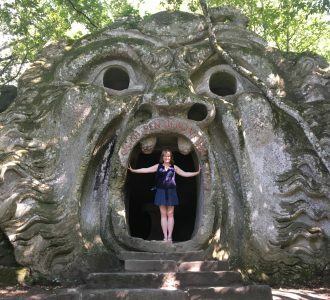 Let me know how you like it, Katie!